Our members are a very friendly group who enjoy each other’s company, involve their families in club activities and provide valuable local and international networking opportunities. Our club is one of over 40 Rotary Clubs in Rotary International District 9810 (South East Melbourne). Members of Rotary are welcome to attend meetings of any of the 33,000 clubs throughout the world. This provides unique networking opportunities and advice and help in strange cities and countries. For more details click on Global Rotary. We meet on Thursdays at 6.30 for 7.00 pm at Victoria Golf Club in Park Road Cheltenham. Our Club Calendar page has details of upcoming speakers and events. We support Rotary International’s focus on providing clean drinking water for those without, the elimination of polio through the Polio Plus campaign, the provision of education and training to children without educational facilities and many other Rotary world programs. We also actively support our local community with a special focus on health needs. For a better understanding of our service activities you can download information by clicking on our Annual Reports or visit the other pages of this website. We also publish a weekly newsletter called In Gear which keeps members up to date with our activities. Just click on the link to see all this current years copies. 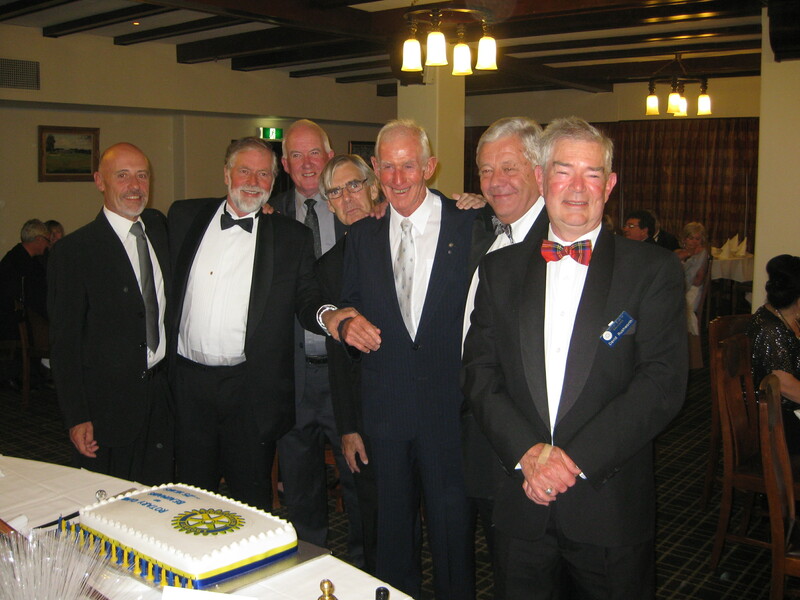 The Rotary Club of Beaumaris was chartered in November 1985 by the Rotary Club of Cheltenham. There were 39 charter members many of whom were members of the fathers’ activities club of Beaumaris North Primary School. Of the original charter members three are still active members of our club.